Songs - LIKE DIAMONDS IN THE NIGHT, FOR THE GOOD OF THE MANY, O COME LITTLE CHILDREN (sacred and secular versions), HOLLY AND IVY AND EVERGREEN, MISTER FROSTY WINTER, DING DONG DING, THE SOUNDS OF SANTA'S WORKSHOP, A SONG FOR HANUKKAH, WE SING GLORIA!, SNOW COW, A VERY BERRY SONG, DON'T BE A TURKEY, MOSTLY WHAT I WISH FOR, EIN LICHTLEIN BRENNT (German and English versions), A CHRISTMAS GREETING, QUEST OF THE THREE KINGS (Low D, E, F#, G, A, B, C, D. OPT. PT. 2 G, A, B. OPT. ALTO PT. G, A, B, C, D, E, G). 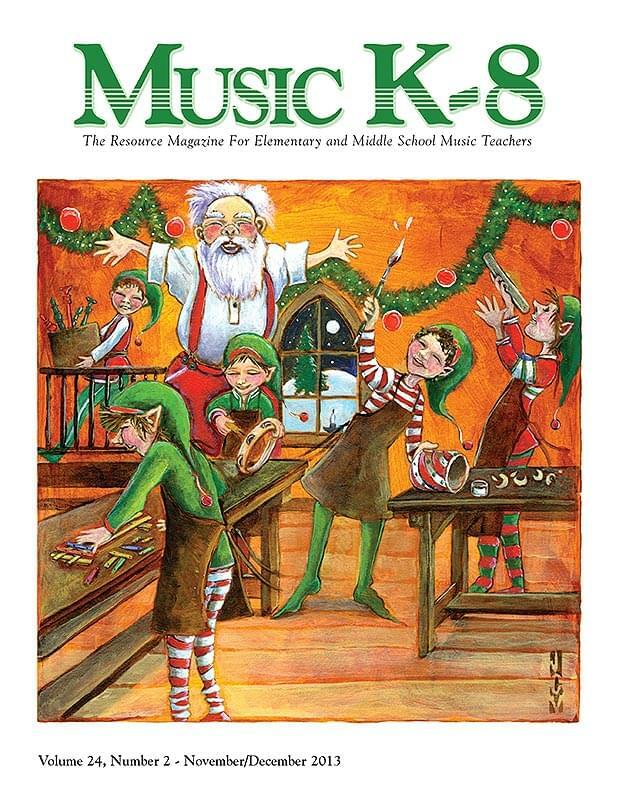 Articles - Network; Ready... Set... - Carol's Corner; About the Music in this Issue; Quodlibet; Photo Journal... and more!